Nokia 7 Plus Now Available in Pakistan: Price and Specifications. The Nokia 7 Plus is the latest mid-range device by the company having two cameras and stunning features. Nokia 7 Plus features a 6.00 -inch FHD+ FullView Display with a 2160 x 1080 pixels of resolution and aspect ratio of 18:9. It is powered by the 2.2 GHz Qualcomm Snapdragon 660 processor and runs on Android 8.1 Oreo operating system. It has a 4GB of RAM and a 64GB of internal storage that can be expanded up to 256GB via a microSD card. 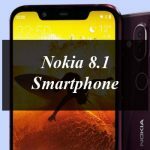 The 7 Plus by Nokia is equipped dual cameras 12 MP (f/1.8) and 13 MP (f/2.6) with gyroscopic Electronic Image Stabilization, Dual Pixel PDAF, 2x optical zoom and a dual LED flash. On the other hand there is single 16MP front facing camera with f/2.0 sensor. Nokia 7 Plus features a Non-removable Li-Ion 3,800 mAh battery with 18W fast-charging feature that allows Stand-by Up to 723 h (3G), Talk time Up to 19 h (3G) and Music play back of Up to 126 h.
In terms of connectivity it includes Wi-Fi 802.11 a/b/g/n/ac, dual-band, WiFi Direct, hotspot, Bluetooth 5.0, A2DP, LE,3G and 4G. It is also a dual SIM device. Nokia 7 Plus is available in three colors Tempered Black/Copper, White/Copper colors. The price of Nokia 7 Plus in Pakistan is Rs. 49,500. You can purchase the 7 Plus in Pakistan by visiting the official website of Advance Telecom. Nokia 7 Plus Now Available in Pakistan: Price and Specifications. Nokia has launched the 7 Plus smartphone.